Law enforcement officers soften their stern authority to better serve people experiencing mental health crises. Training in Sioux Falls tests their ability by simulating real-life scenarios. Twenty-five officials learn new policing strategies in Crisis Intervention Training. Two law enforcement officers knock on the door and greet a woman on the other side. She says she didn’t call, but she lets them in to talk to her teenage daughter who’s cutting her own arms. "Primarily we used reflective listening along with empathy to get to the bottom of the problem here, and then to use that information that we gained to resolve the problem that the teenager was having," Charles Skidmore says. Skidmore is a police officer in Sioux Falls. He’s one of the authorities handling the scenario. They use techniques learned in Crisis Intervention Training to understand family dynamics and de-escalate the situation. "We try to get down to the level of the juvenile if possible, as long as it's safe for officers on the scene. In the last scenario that we did, I got down to the height of the juvenile so that she could see and look me in the eyes so it didn't appear as though I was towering over her when I was trying to talk to her," Skidmore says. "It doesn't put me in such a position of authority." Officers figure out how to help the young woman hurting herself without automatically restraining her or unnecessarily taking her to a hospital. In this room, that juvenile is really a college student. The location is law enforcement headquarters in Sioux Falls. Officer Skidmore is working in a pretend situation, but he says it depicts circumstances on the street. "One of the things that did sort of catch us up was we had the entrance of an additional person into the room. It's unexpected, and so you're dealing with a dynamic situation and we are trained to deal with that," Skidmore says. "But when tensions are high, it becomes a safety situation first before we can have any sort of meaningful conversation as to the mental health aspects of the call." The scenes mimic reality, and sometimes people yell and argue with officers. "I like coming here, because I’m a little bit more vocal, and so the officers have gotten a little bit more vocal with the training," Brooke Blaalid says. "This is my third time doing the training with them. We've had some officers who were a little more rough around the edges and utilizing what they're really trained to do, so this has been different for them to kind of soften some of their skills, to really come down and be more empathetic." Blaalid uses true accounts of local calls to inform her acting. She’s a professor at the University of South Dakota. Usually she’s instructing her social work students. Now Blaalid hopes to teach law enforcement a few lessons. "You can still be authoritative and be soft-spoken. You don't have to be aggressive to have power or to have someone listen to you," Blaalid says. "So I think the meshing is showing these officers that you can be genuine, you can be empathetic, and still do your job.'" She says not every person officials encounter is a criminal, so they need to adjust their forceful response to properly serve the community. You can be genuine, you can be empathetic, and still do your job. 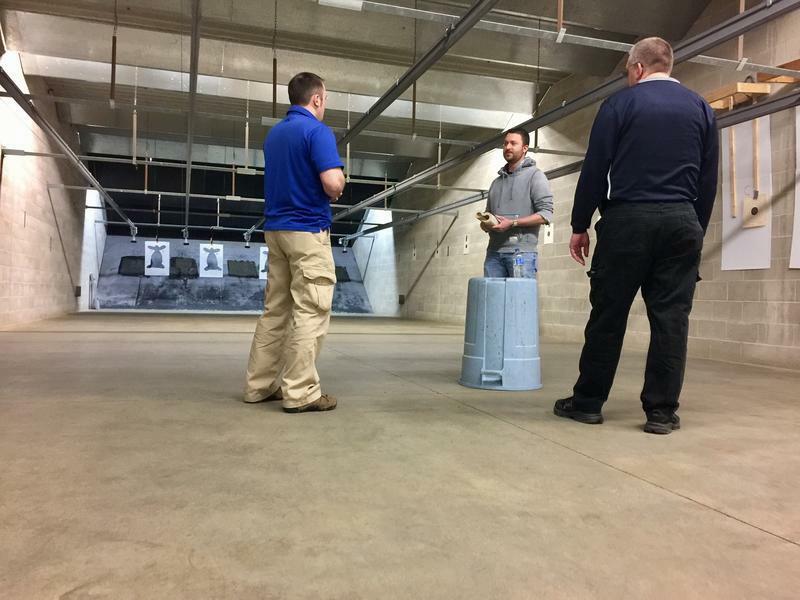 In a nearby training scenario, a man nervously paces back and forth, tapping his Bible against his hand and using an upside-down garbage can as pulpit. Experts watch as law enforcement officers grapple with getting him out of the way of an imagined local business and getting him help. 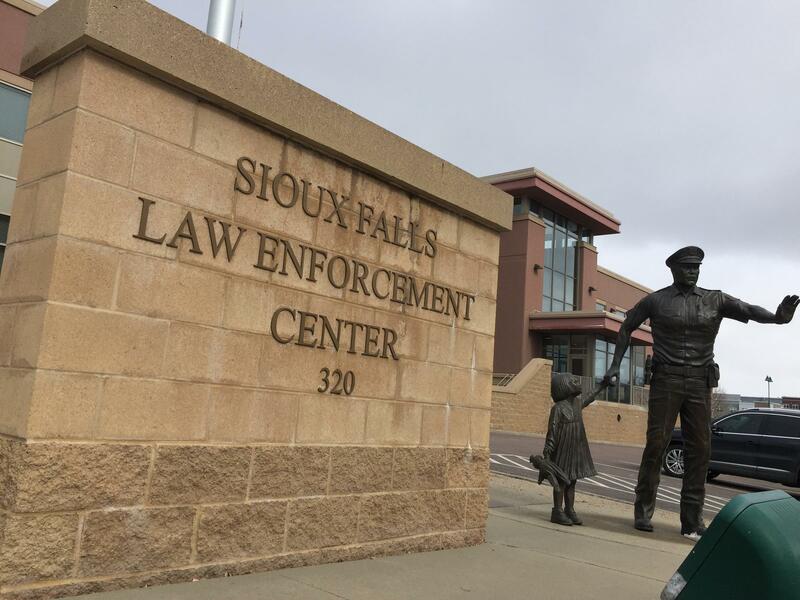 Sioux Falls Police Sergeant Tarah Walton says certain tactics reduce the risk of harm – for officers and for the people they protect and serve. Walton says the week-long training is intense. "Every scenario has actors basically portraying people with mental illness or in emotional crisis," Walton says. "In that room, not only are the officers interacting with the actors or actresses, but they're being evaluated by two people. One is a peer who is a CIT-trained officer that's already gone through the program and they’ve really excelled at their abilities, and then they're also evaluated by a mental health professional." Walton co-coordinates Crisis Intervention Training. "It’s kind of like we had one tool before this program came along, and if someone was showing signs that they were a danger to themselves or somebody else, officers had one choice and that was basically take them to the hospital or to jail," Walton says. Walton says officials prove their ability through drills, and they sit through a scenario that helps them experience what it’s like to hear voices. She says that part of the training allows officers to better understand the complex lives of people they meet in mental crises. Walton says the CIT strategies to calm situations and offer help change the officers’ relationship with people. "And not only is it a comfort to the consumer, or the person experiencing the crisis, it's also a comfort to the family. Many times the family members are just so thankful that their loved one wasn’t taken away and placed somewhere that they didn't need to be," Walton says. "The officers are actually showing empathy and compassion for the needs that they're having and really addressing those rather than just putting handcuffs on and hauling them off to the hospital." Walton says sometimes that’s the best move, but often authorities – with the proper training – can help people where they are… when they need it – no handcuffs necessary. Click this link for a first-hand account of the experience of "hearing voices." Made possible by your generous gifts. And by the Friends of South Dakota Public Broadcasting.